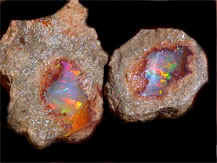 by William Schmidt, Ph.D. (C) 2008 All rights reserved. 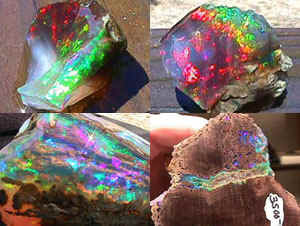 Beautiful Colors for Your Enjoyment. 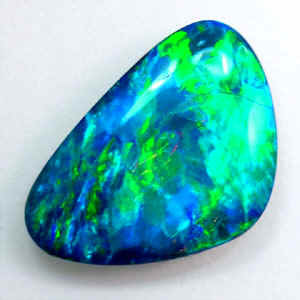 See also our American Turquoise: A Journey through Native Blues. 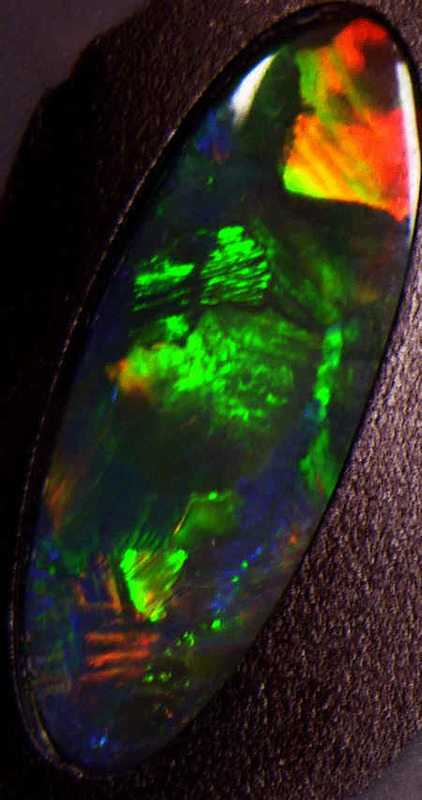 Northern lights? 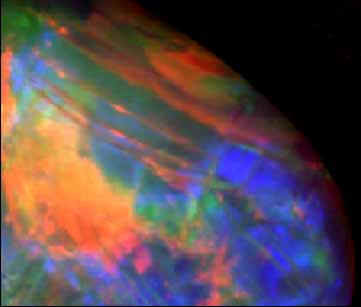 Fireworks? 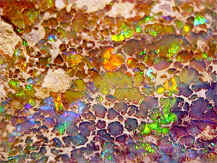 A magic mushroom trip? 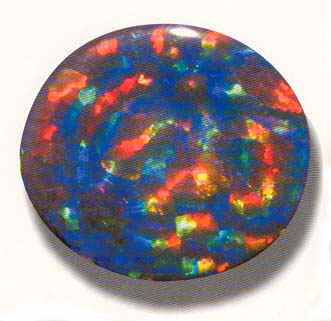 No, harlequin opals! 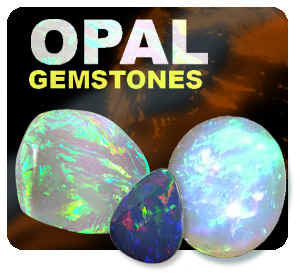 Their shafts of light are so big and bold. 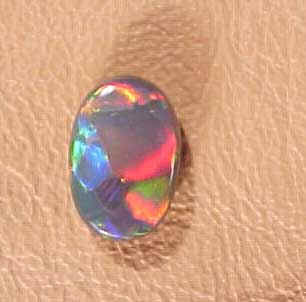 Sometimes they form a checkerboard pattern. 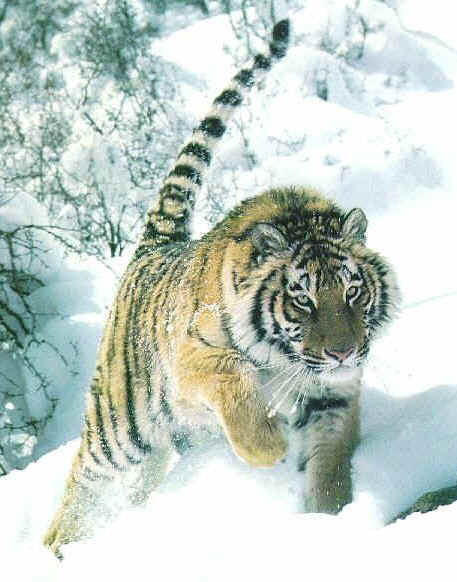 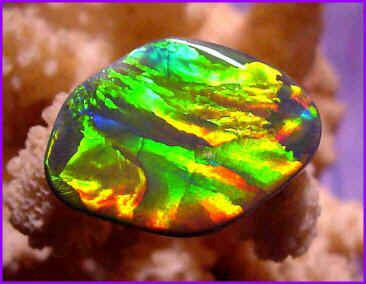 out of direct sunlight, away from extreme cold and occasionally placed in water, so as not to. 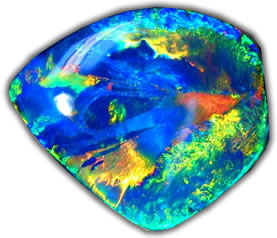 become overly dry and fracture. 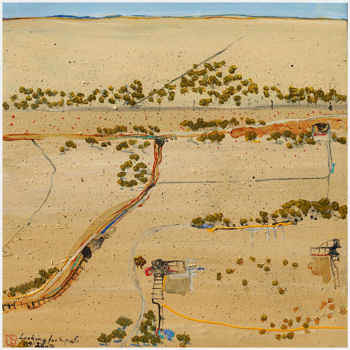 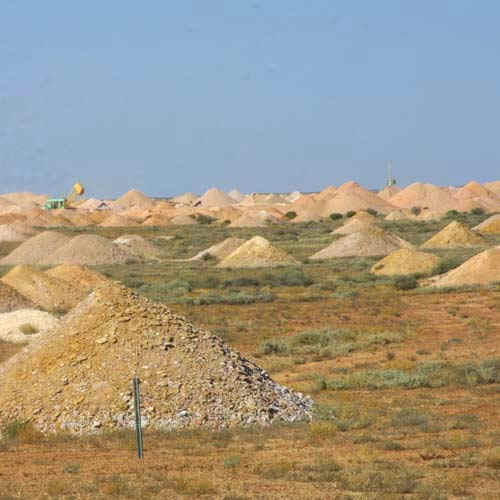 the entire world: Lightning Ridge in New South Wales and Mintabie in South Australia. 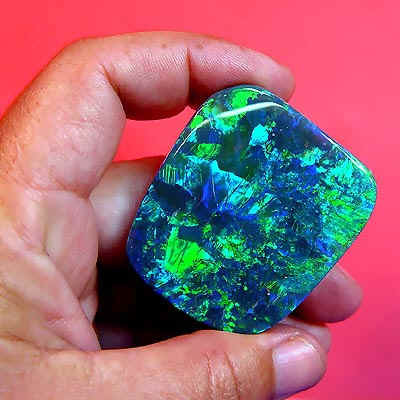 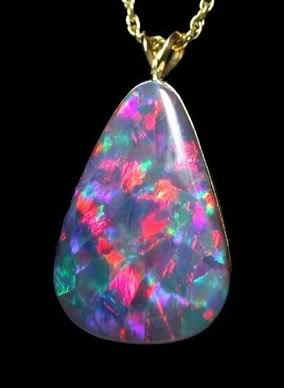 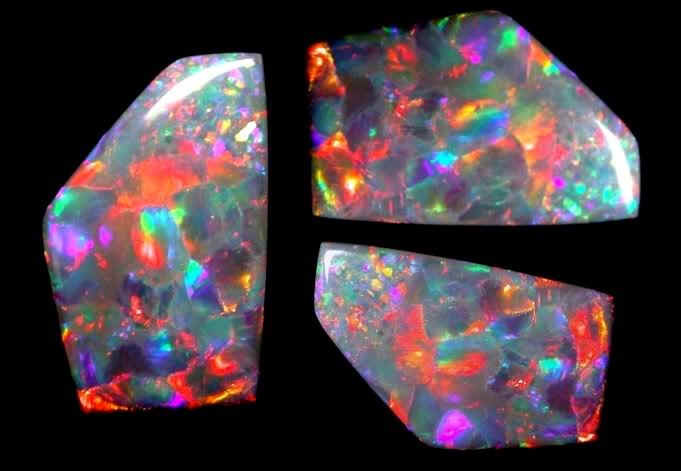 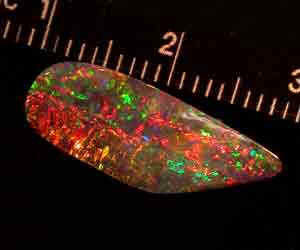 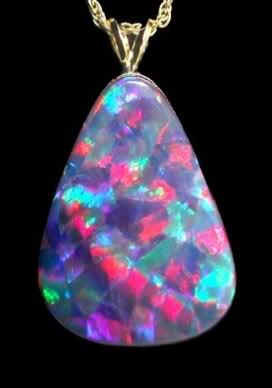 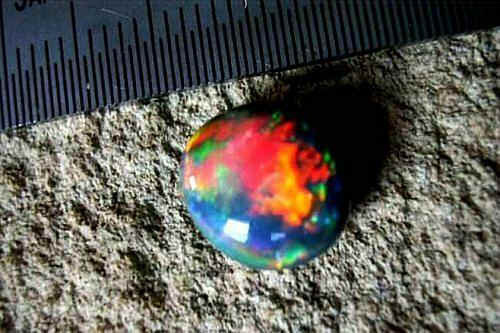 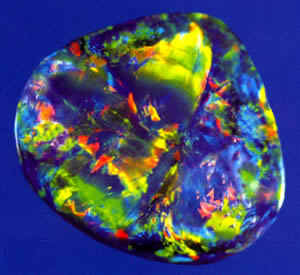 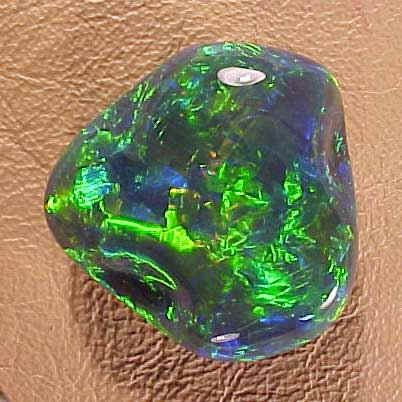 Top quality opals sell for more than $30,000 US per carat. 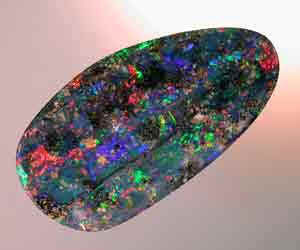 Ebay $49,999 - 36 carats 36 mm x 23 mm X 7 mm - Lightning Ridge "semi-black"
This is the land they come from. 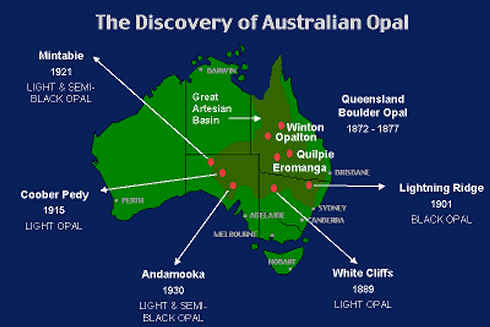 can find opals more easily. 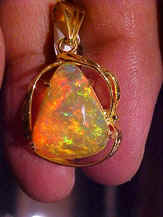 and offered for sale. 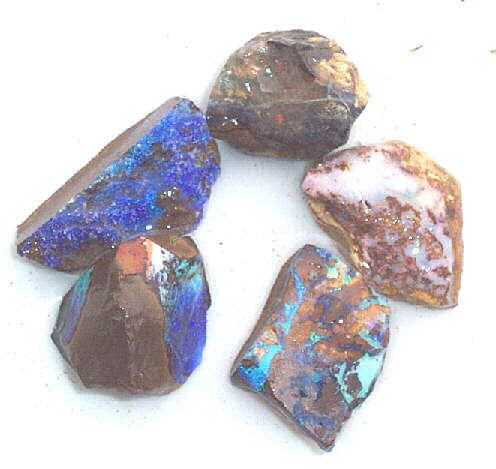 These come mainly from Lightning Ridge in NSW. 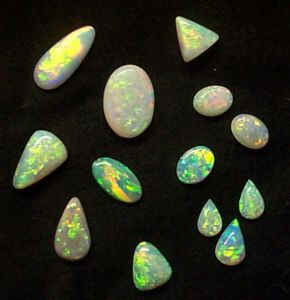 These can crystal or opaque. 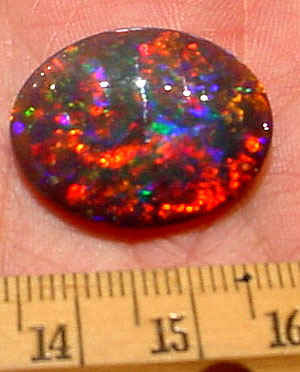 show bright flashes of red. 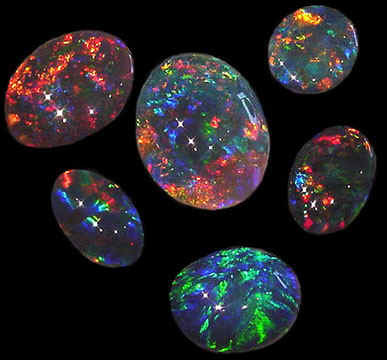 can be opalized in a slow, methodical process, that reproduces the shape of the original life form in both "precious"
actual gem material. 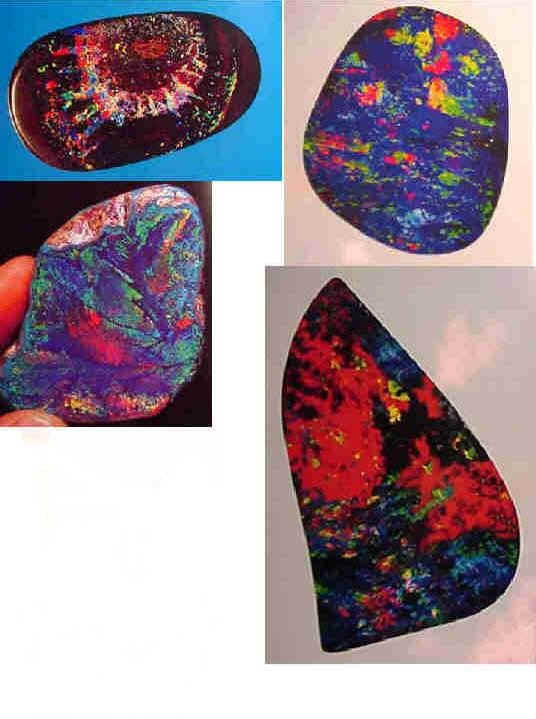 The patterns can exhibit broad flashes, small flashfires, speckles of color or even pinpoints." 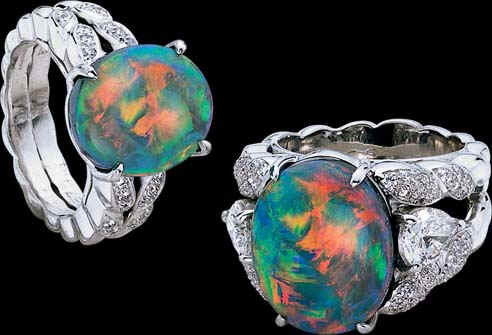 of a creative jeweller makes for stunning creations. 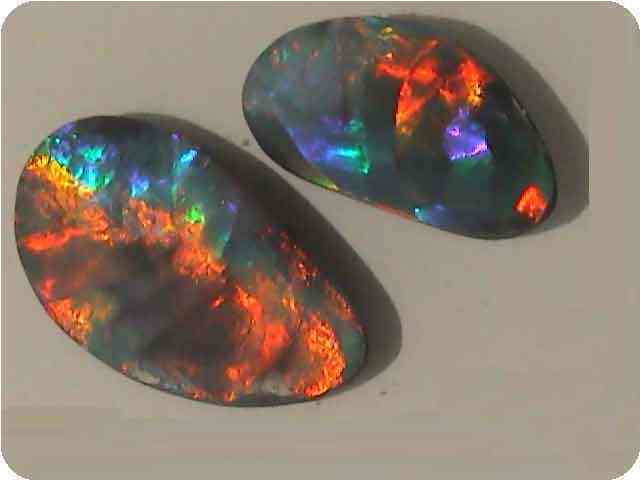 5.5 and 6 on the Mohs scale. 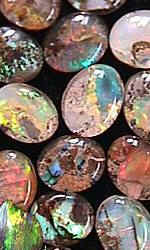 Boulder opal is very durable due to the ironstone backing the opal forms on. 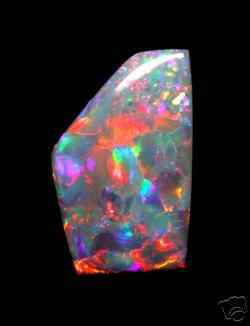 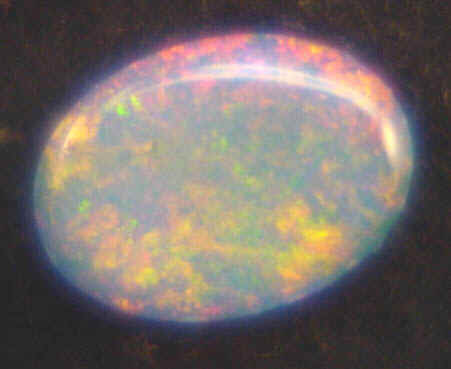 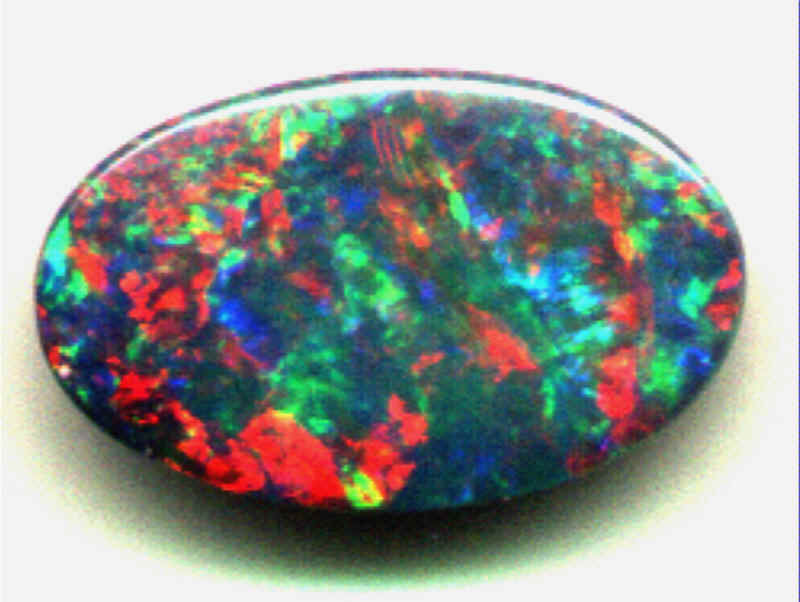 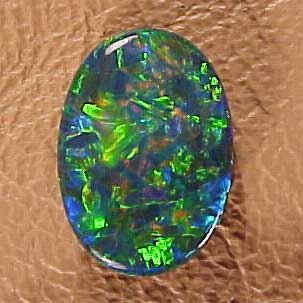 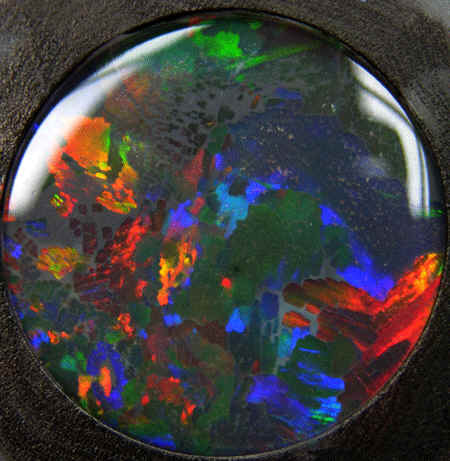 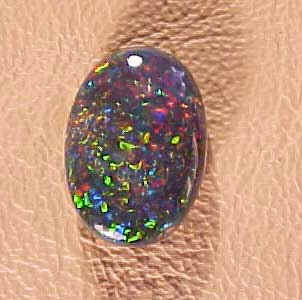 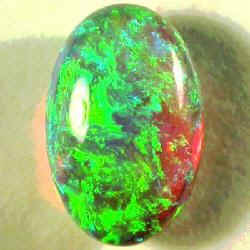 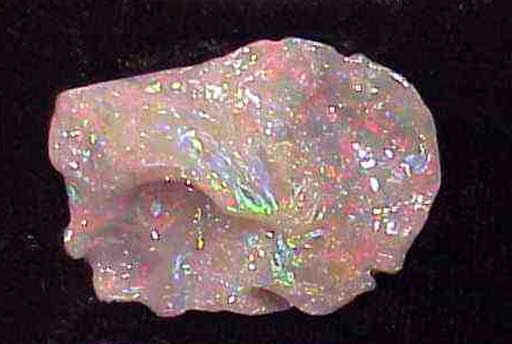 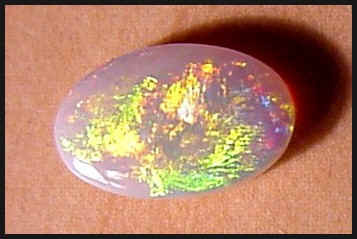 Because water content within the opal is very low it almost never cracks or crazes as it ages. 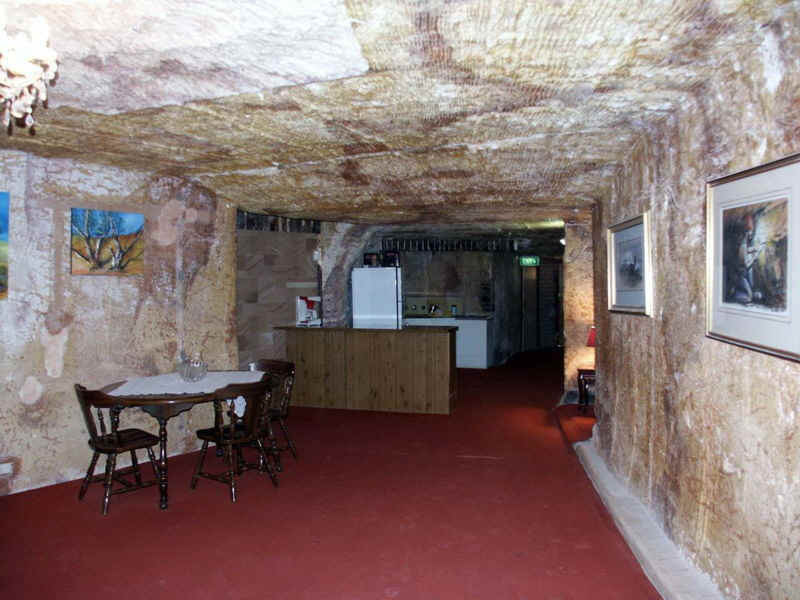 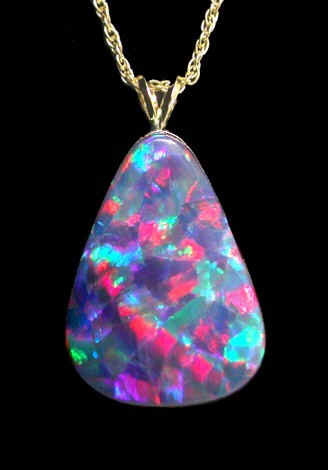 ( http://www.joannarepton.co.uk/images/opals01.jpg ) Living underground in Coober Pedy..
"The history of Australian opals started as late as 1849 at a cattle station called Tarrawilla, near Angaston some 80km outside Adelaide however, Australian opal did not appear on the world market until the 1890s. 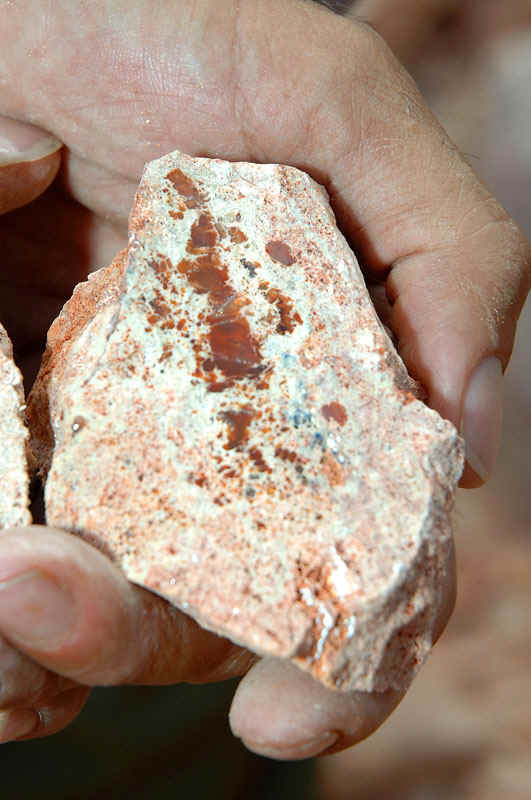 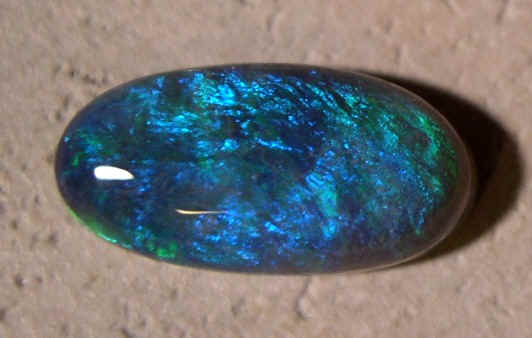 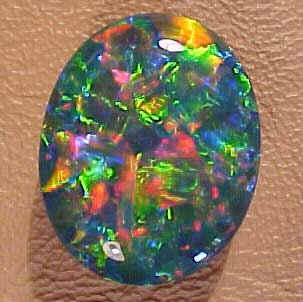 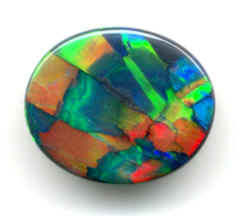 Prior to the emergence of Australian opal on the market, opal was sourced in Hungary and South America. 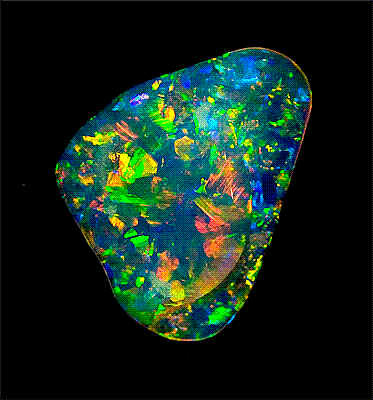 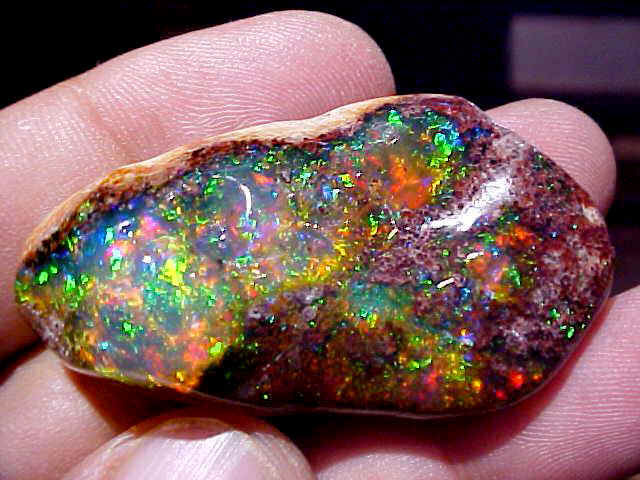 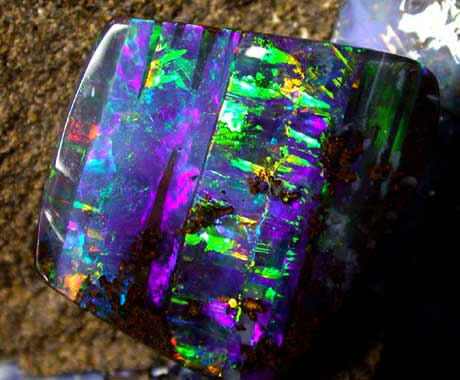 Consequently, the Hungarian mines promoted the idea that Australian opal was not genuine, probably because gems with such brilliant colour had not been seen before. " 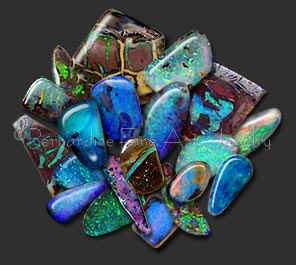 So many patterns of color: "Harlequins", "Flagstones", "Ribbons", "Peacpck Tail", "Rolling Flash"